I sat watching the election coverage last night with two very puzzled looking children. They were finding it hard to understand how the votes they could see on the TV screen translated into the result the same TV screen was telling them! The main question I heard was why? The answer to that is complicated and simple at the same time. 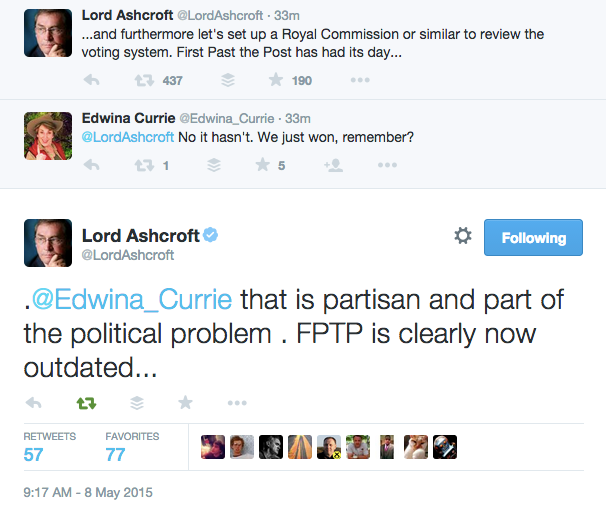 The simple answer is our electoral system is completely unfair. 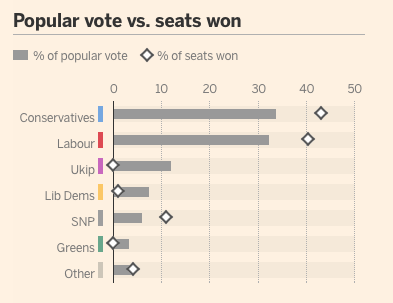 This is basically showing that Labour, the Tories and the SNP end up with more seats than they deserve. 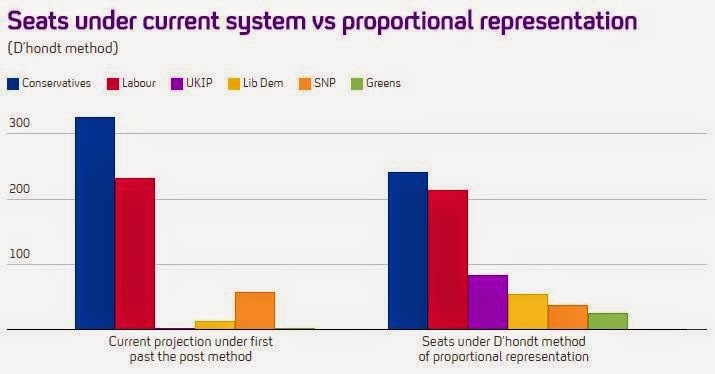 UKIP, The Greens and the Lib Dems end up with many less seats that they would do if we had a more proportionate voting system. But what has been really interesting this time is to hear voices from the right as well as the left point out the unfairness. UKIP's single MP on a vote share of some 12% of the vote Douglas Carswell mentioned in his acceptance speech how unfair the electoral system is for UKIP and the Greens. Electoral reform should be something that unites the parties. It is simply a matter of fairness and in our increasingly multi party country First Past The Post is simply unfair and out of date.